Allison Brooks ’18 at her work station in Penn State’s Freedman Research Laboratory. This summer, environmental science major Allison Brooks ’18 was one of 13 students from across the nation selected to participate in Penn State University’s Climate Science Research Experiences for Undergraduates program, funded by the National Science Foundation (NSF). 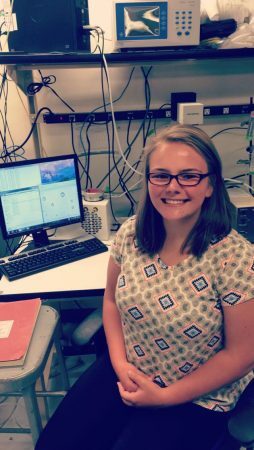 During the 10-week program, Brooks put her chemistry and environmental science knowledge to the test in the Freedman Research Laboratory. Working alongside a Ph.D. candidate, she studied the influence of atmospheric aerosol particles on the environment and how they are affected by differing levels of humidity. This fall, Brooks will study abroad at the University of Reading, England, through the Randolph@Reading program. She plans to share her research from this summer with an international audience at the United Kingdom Aerosol Science Conference at the University of Birmingham (U.K.). Brooks credited Randolph’s liberal arts curriculum and other research opportunities for helping prepare her for the program this summer and beyond. 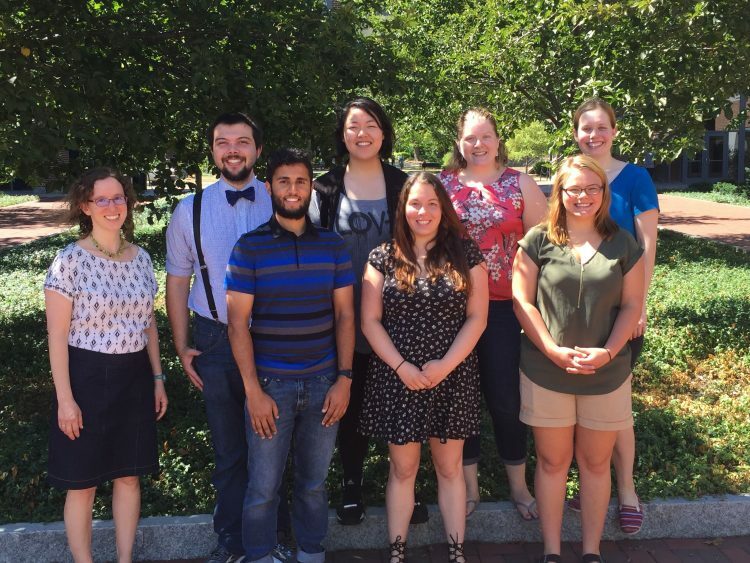 Allison Brooks ’18 is pictured (front row, far right) with other researchers in the program on Penn State’s campus.